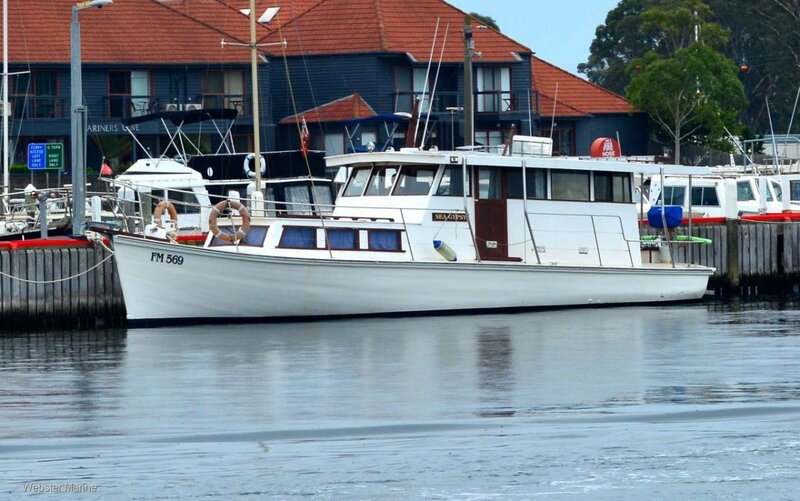 Originally built in the 1940's in Sydney by the Griffin brothers as a trawler, "Sea Gypsy" has been lovingly and thoroughly re-imagined and rebuilt over several years by successive owners, into a comfortable and well finished pleasure boat. They have utilized the spacious interior to provide excellent accommodation which includes downstairs a large master double cabin up forward, and a second double berth with desk area. Then in the main saloon upstairs is a full galley, another settee berth, helm station and enclosed bathroom with hot shower. All systems have been replaced including plumbing and wiring. Inventory includes shore power, inverter, solar panel, 4 batteries, GPS plotter, fish-finder, VHF radio, 3 way fridge, 4 burner gas stove/oven, pressure hot and cold water, deck shower, deck wash, waste holding tank, heavy duty electric windlass and new stainless water and fuel tanks. "Sea Gypsy" is powered by a Ford 110 hp diesel in a spacious and tidy engine room. Externally, the generous side decks are fully protected by new stainless safety railing. Overall, "Sea Gypsy" presents in lovely, well maintained condition and has full "live-aboard" facilities. Slipped for annuals March 2019.